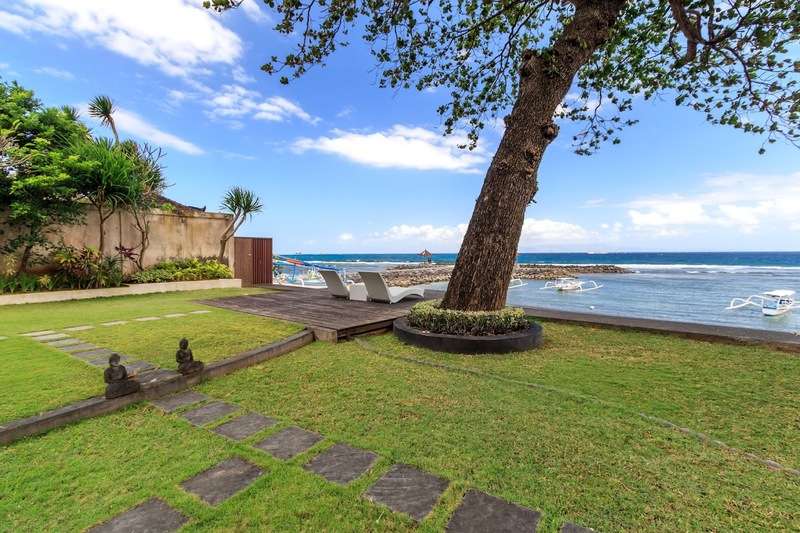 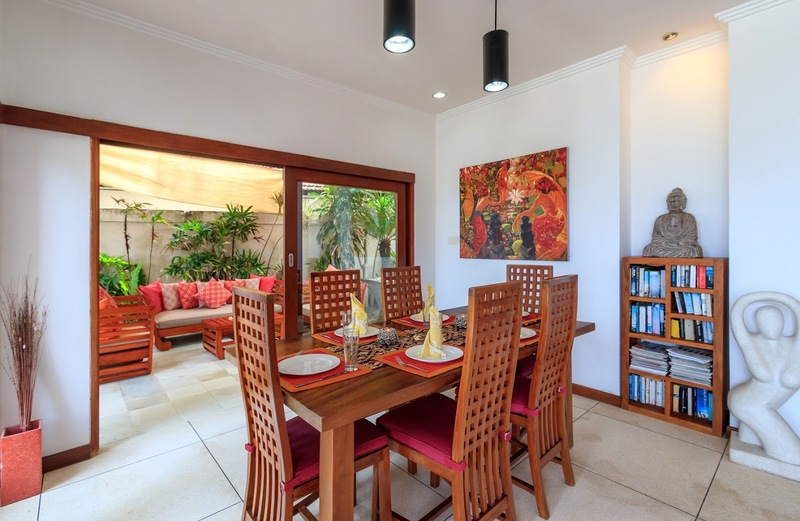 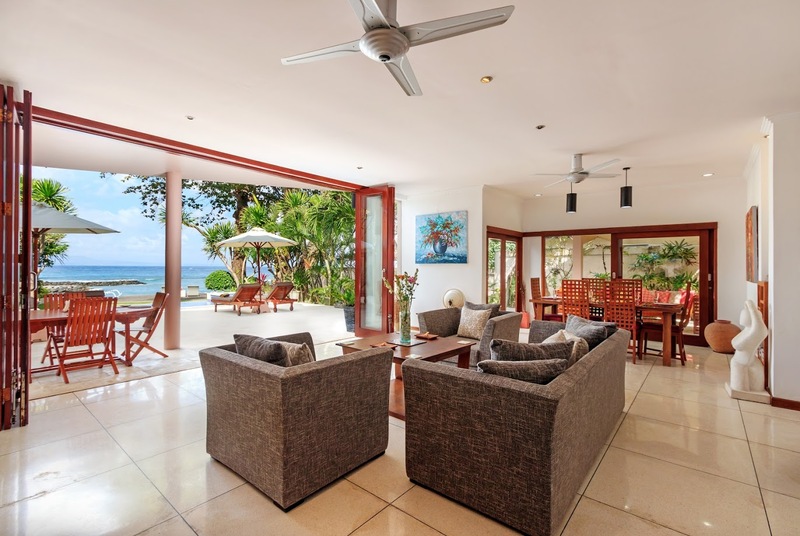 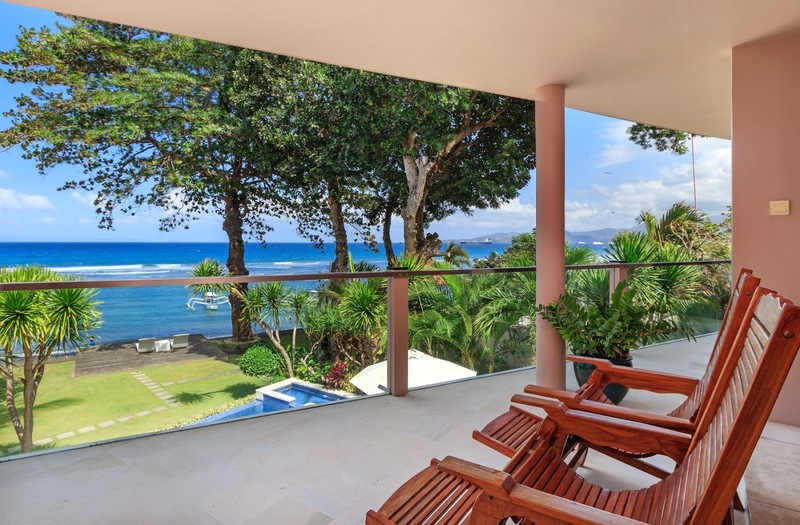 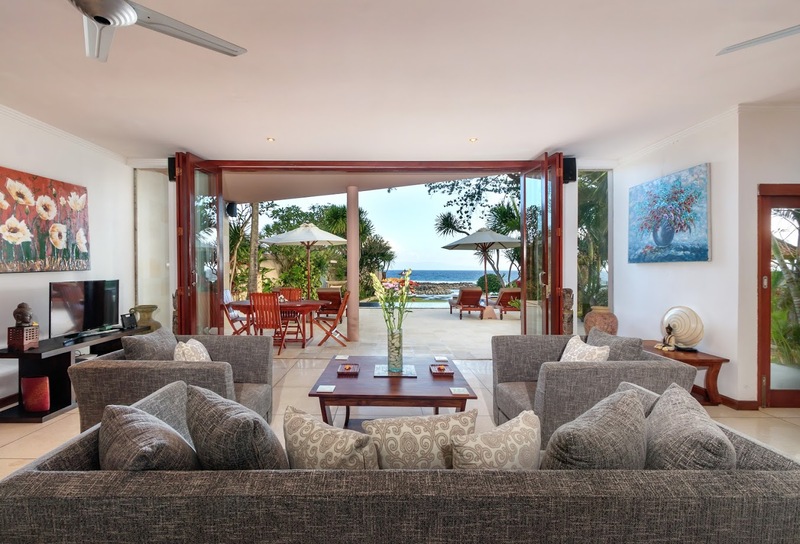 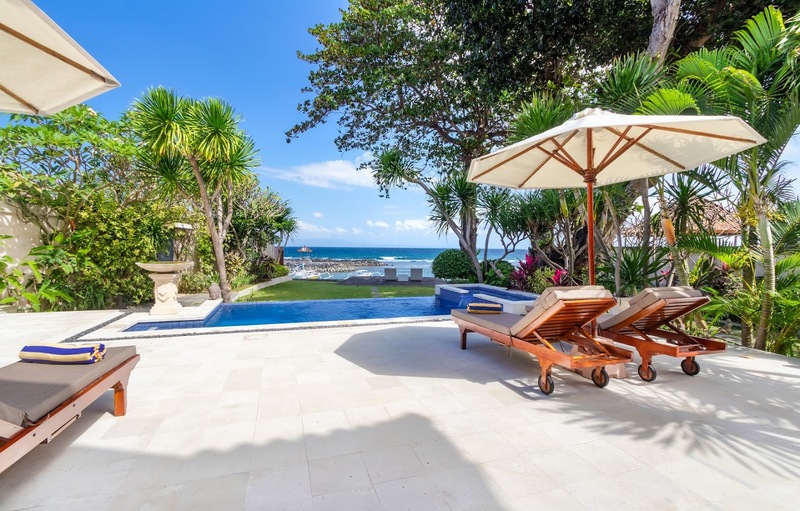 With a great value for money, this contemporary, Joglo-architecture setting accommodates 2 spacious suites, a sprawling garden, a glistening private pool, and an alfresco common space identic with this island home. 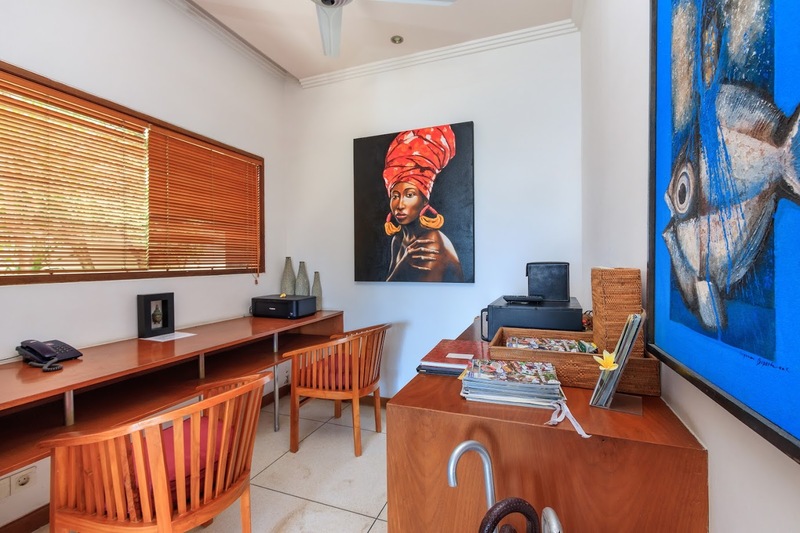 Hosting an eclectic array of statement pieces including a collection of wooden Balinese sculptures and statement pieces. 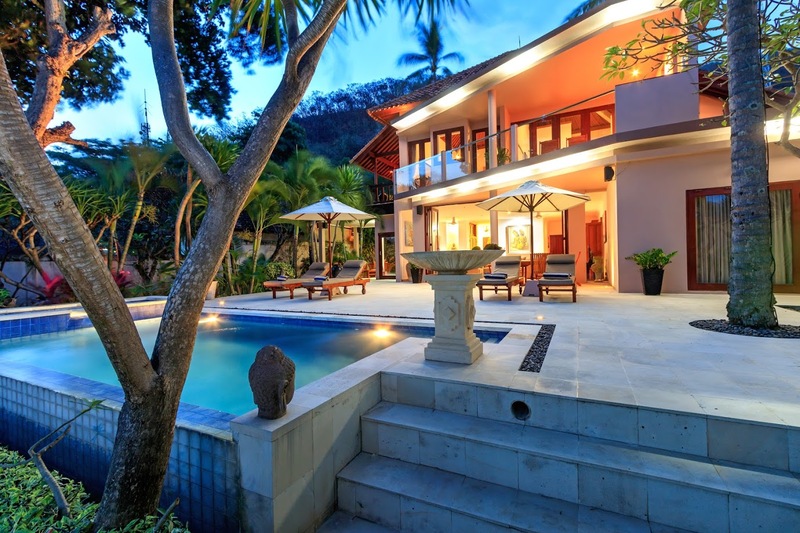 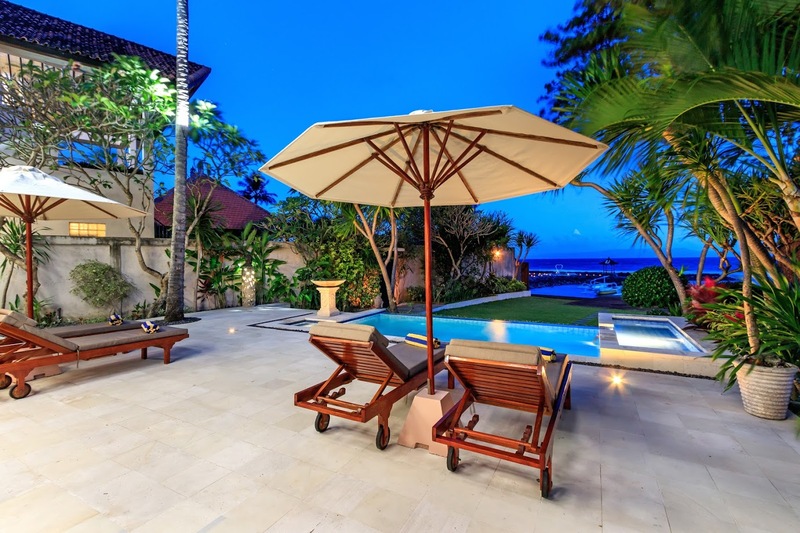 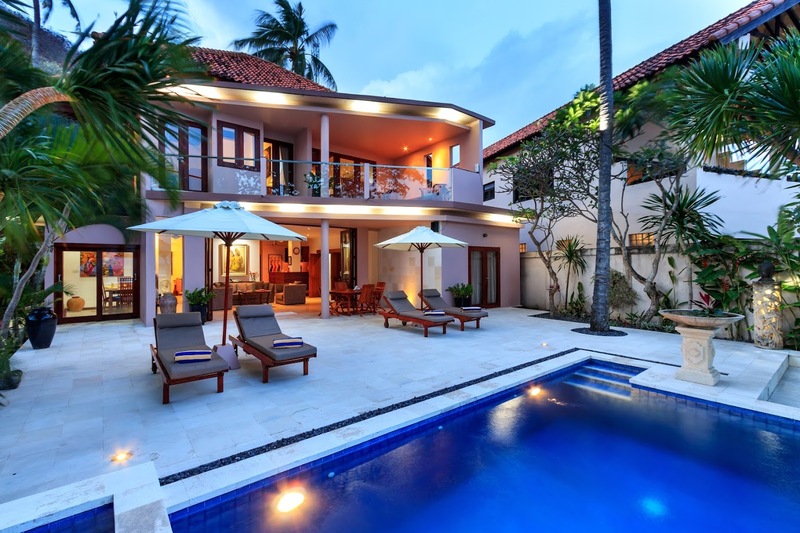 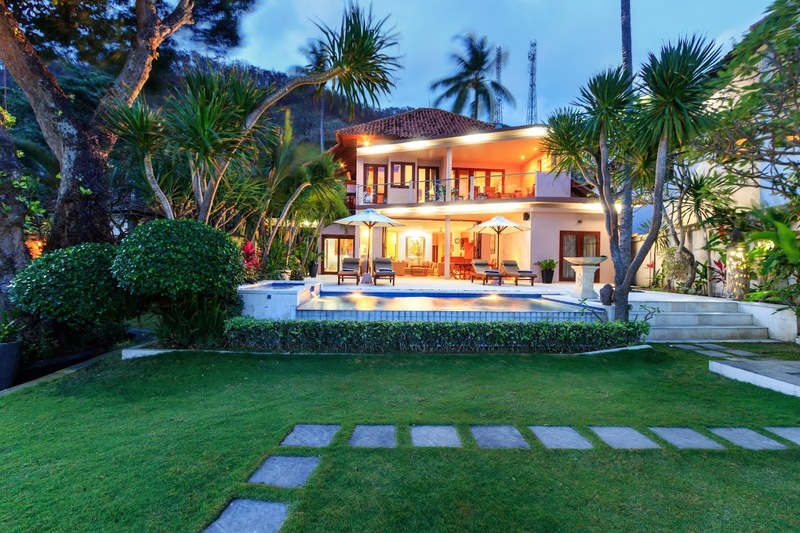 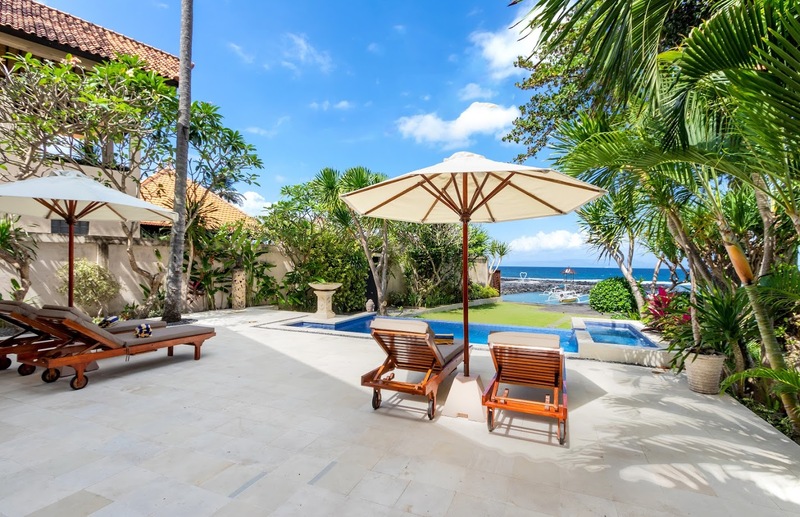 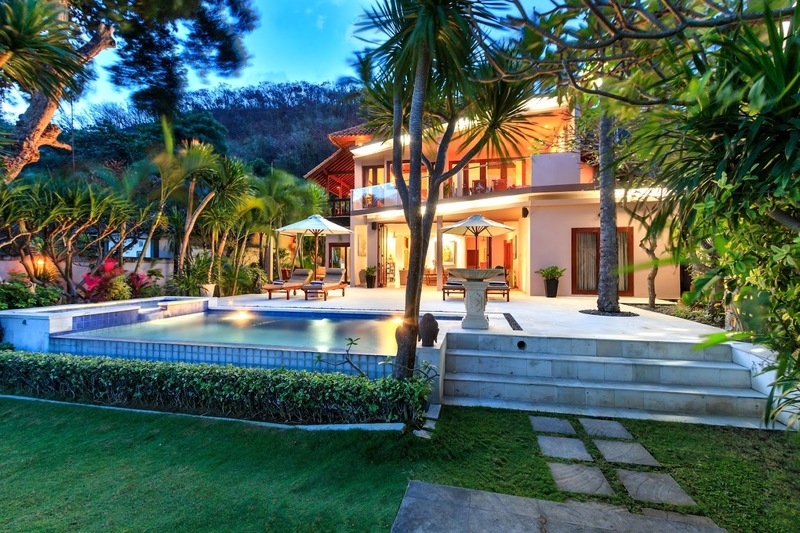 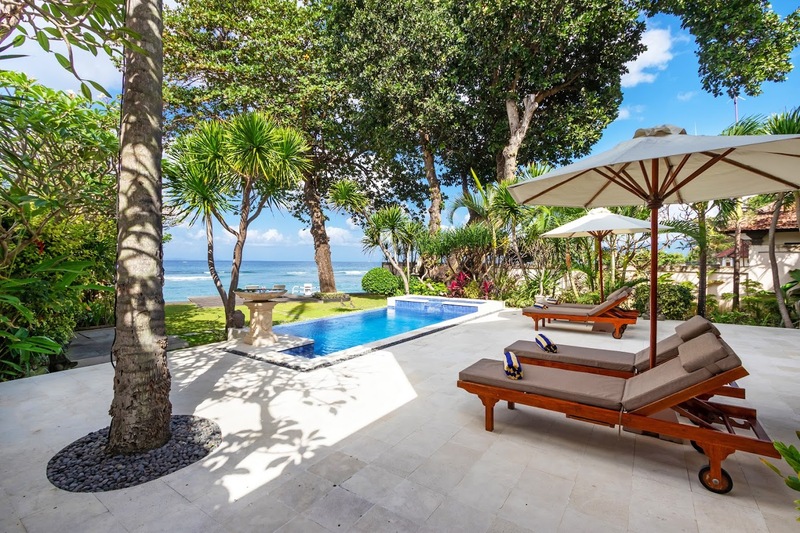 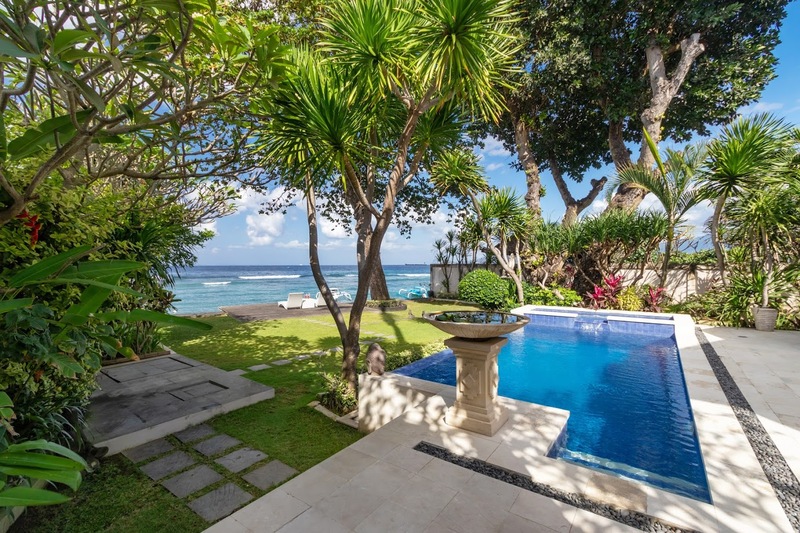 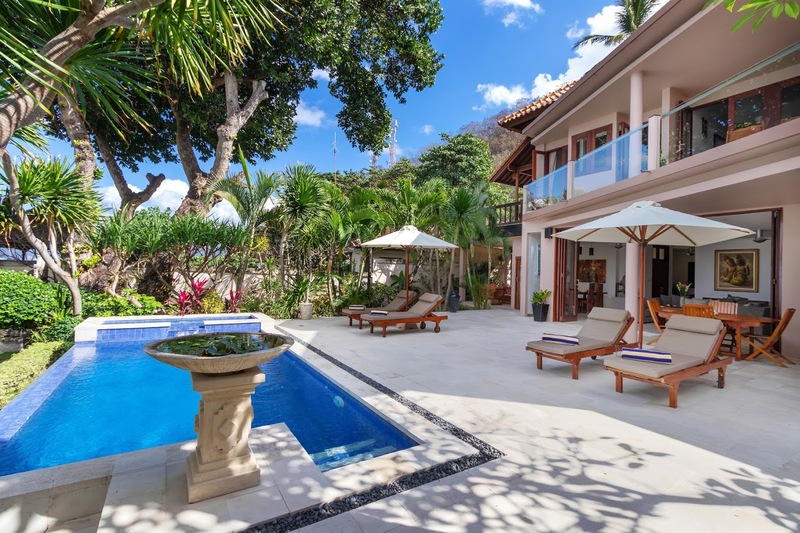 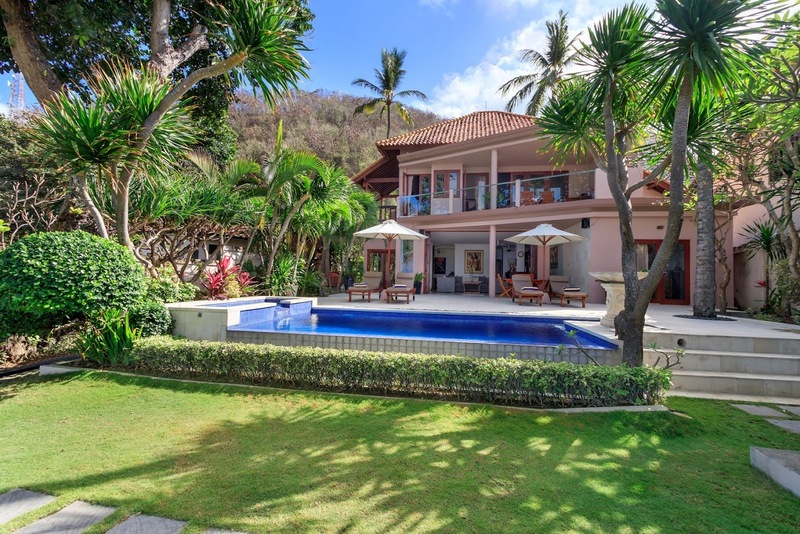 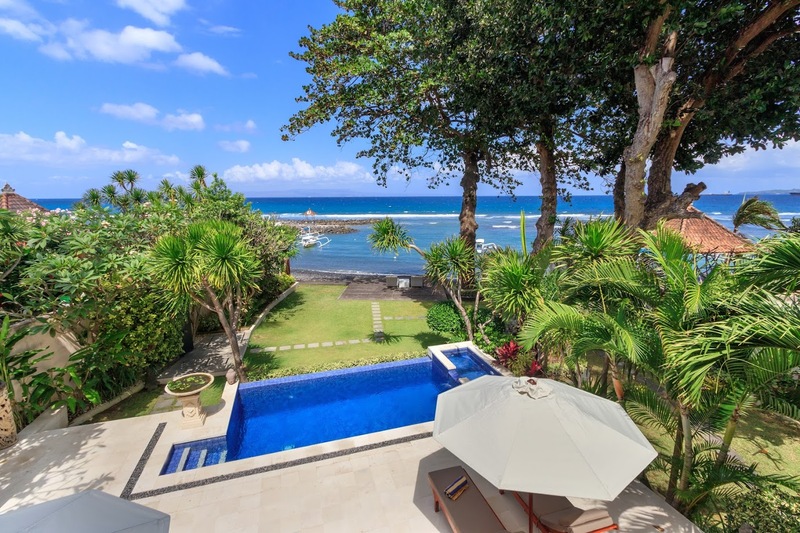 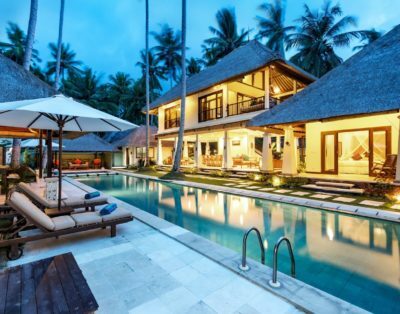 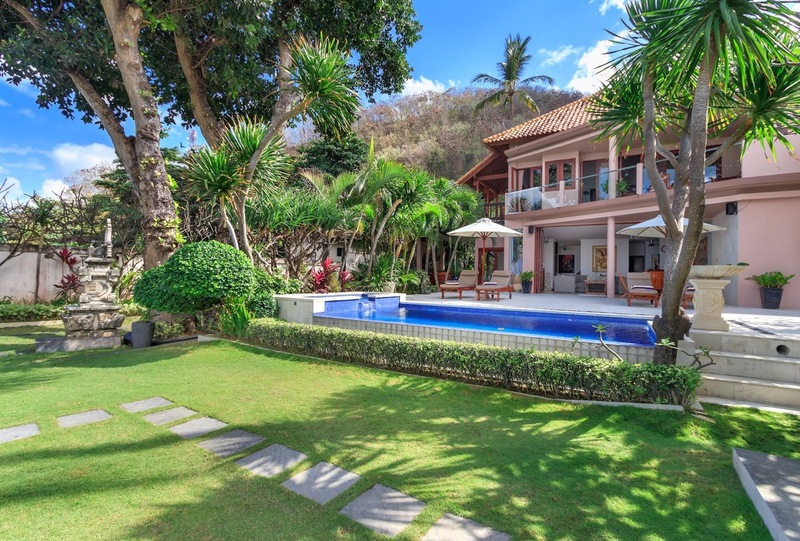 Amidst Candidasa’s easy breeze and swaying palm trees, the villa features a 6 by 3 metered private pool. 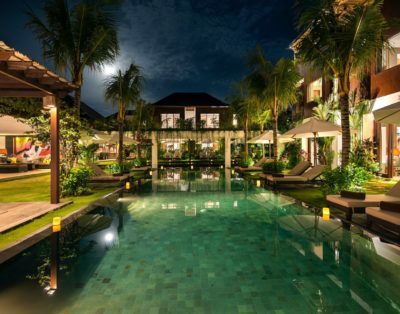 The two-tiered pool flows elegantly by the sun loungers and poolside umbrellas, welcoming guests to nourish the golden sunshine of Bali. 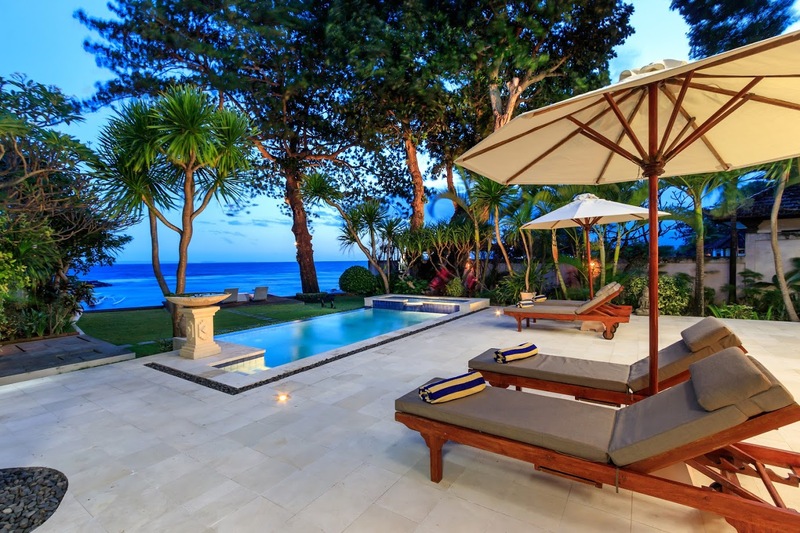 Deep blue tiles are seen to adorn the space amidst the limestone pavements leading towards the freshly-manicured lawn. 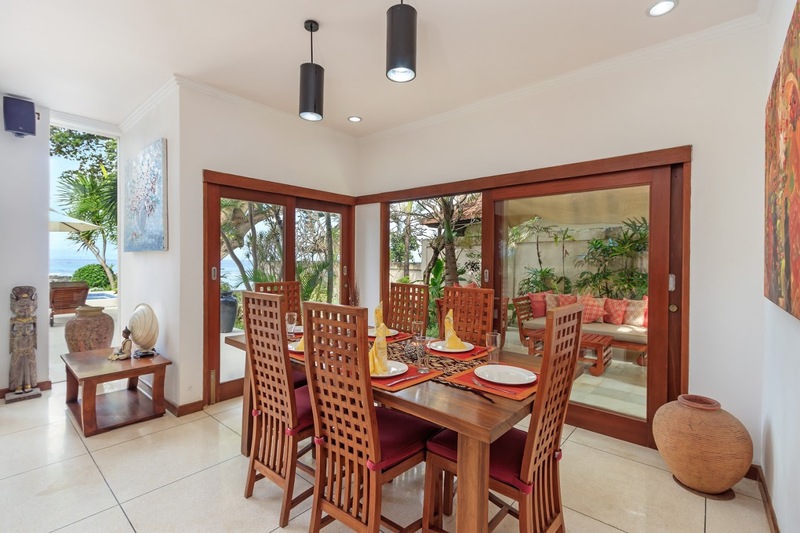 Enclosed with wooden-framed, glass panels, the indoor living space accommodates a casual seating area as well as a formal dining table. 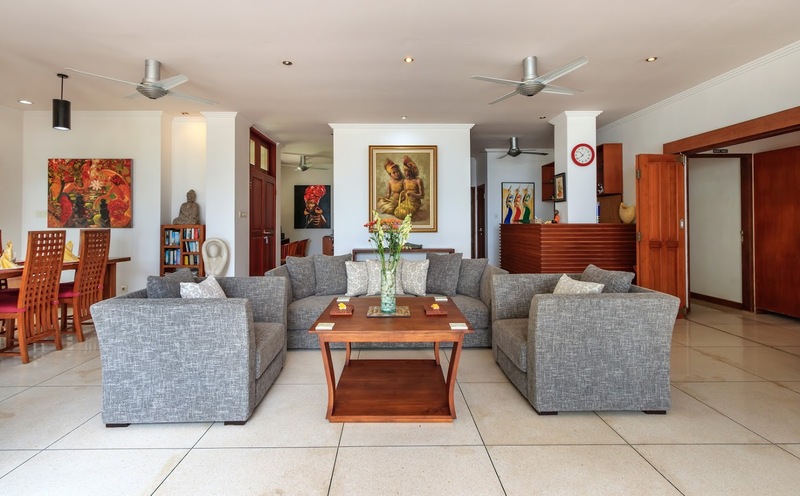 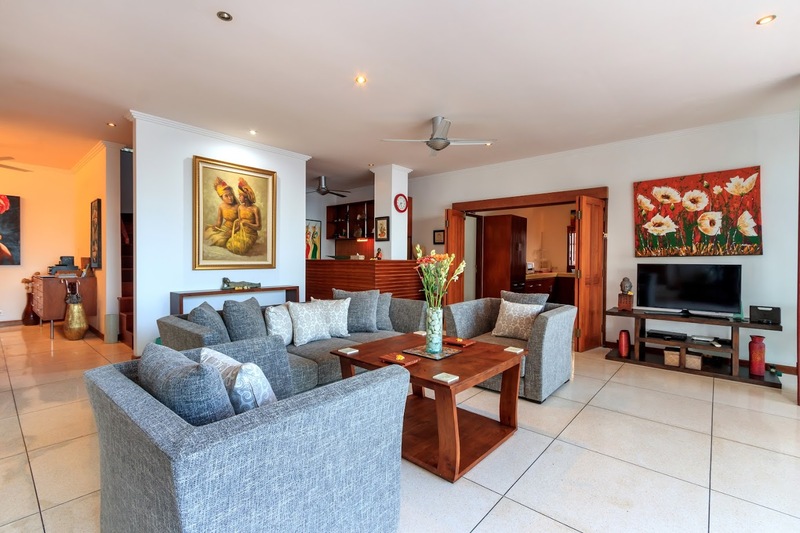 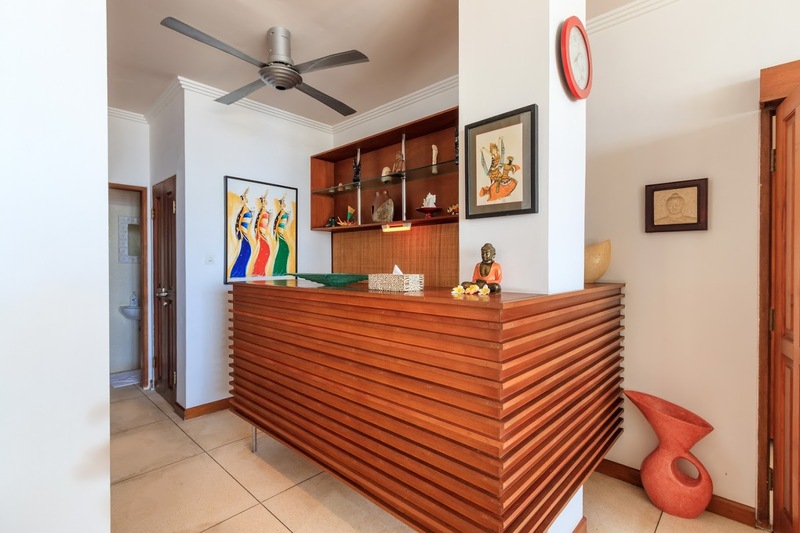 A set of rattan couches and a low-lying coffee table to match, ceiling fans, a television set, an intimate cornered-bar, accompanies the neighboring 6-seater wooden dining table. 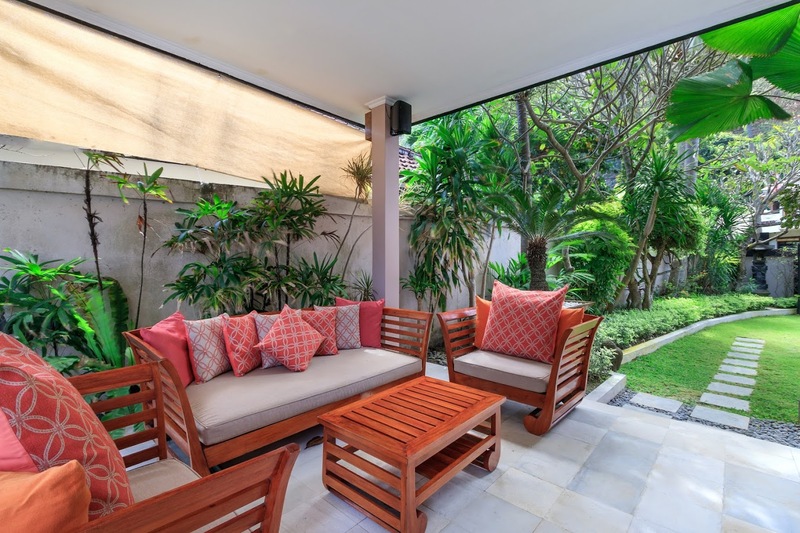 An alfresco living space can be observed on the patio. 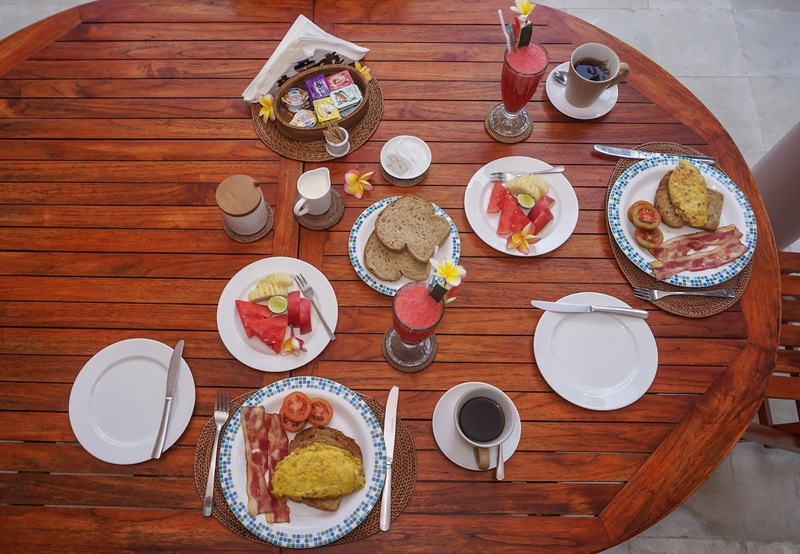 It is furnished with a 4-seater wooden table as well as a sofa set fit for guests to sip tropical juice amidst the early morning sun! 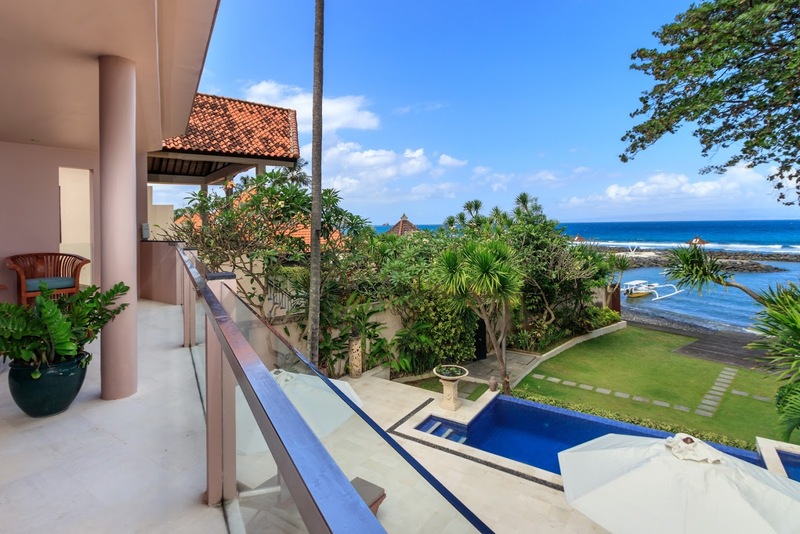 Villa Pantai allows sunlight to enter the room through the large glass windows that open to the shared balcony. 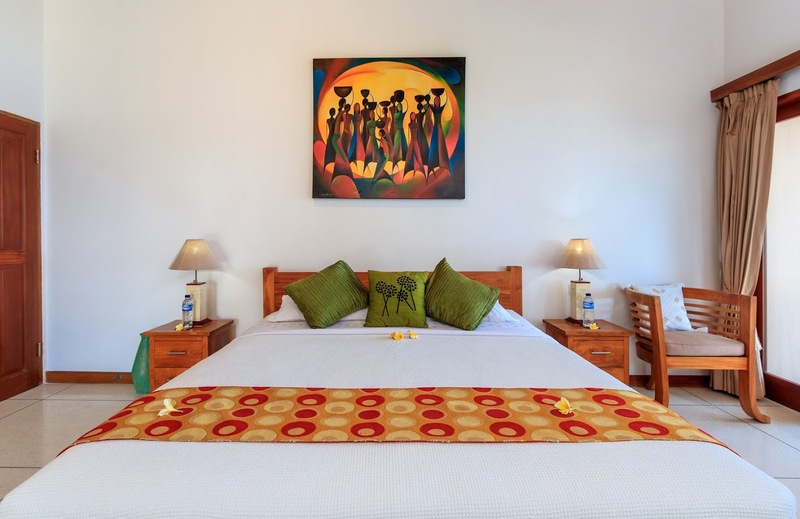 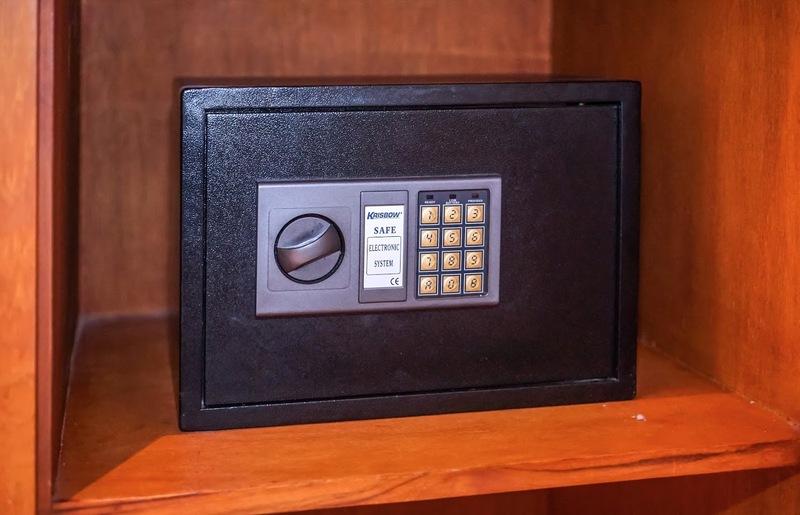 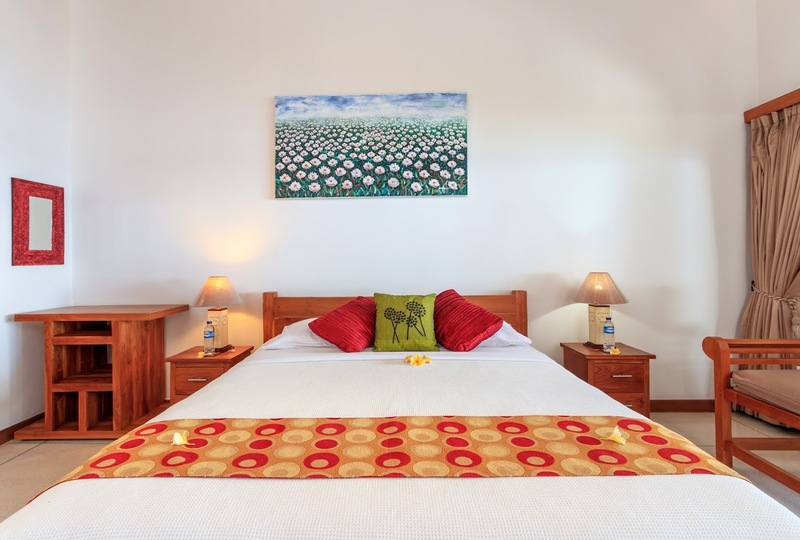 Each room features air-conditioning facilities, paneled glass and wooden doors, satellite television, king-sized beds and en-suite bathrooms. 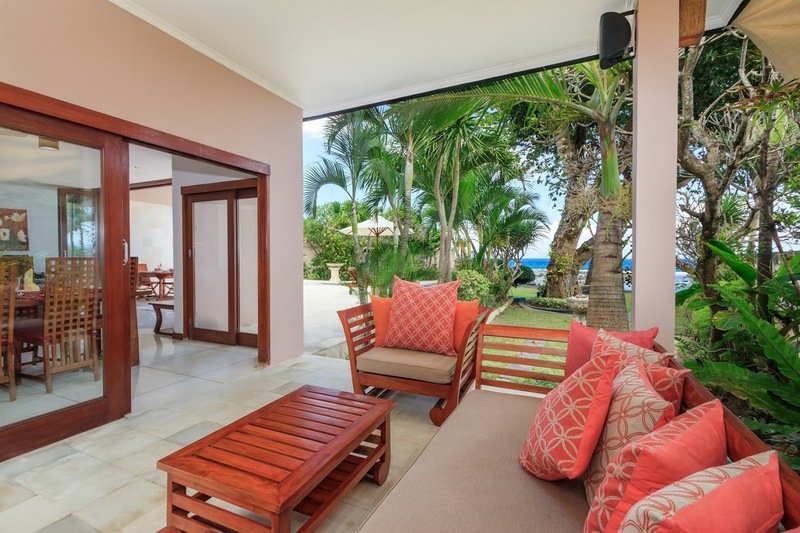 In addition to the seating arrangements furnished in the suites, the shared balcony nestles wooden sunloungers and oversees splashes by the pool. 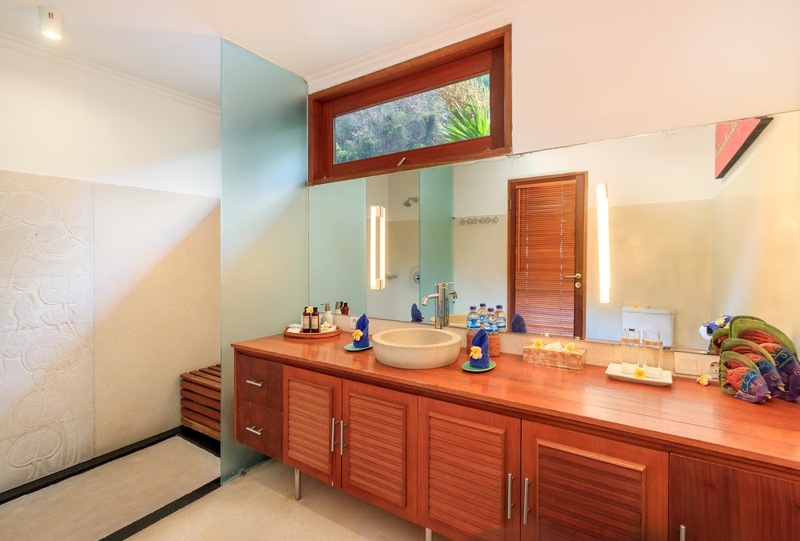 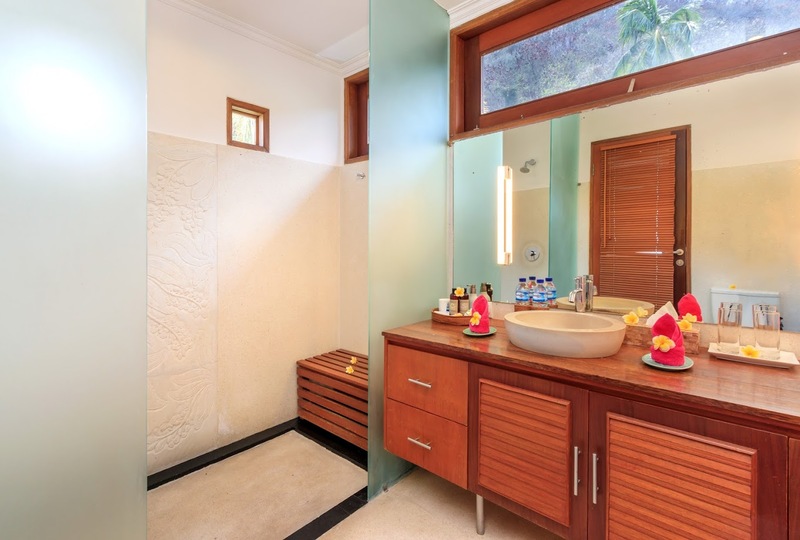 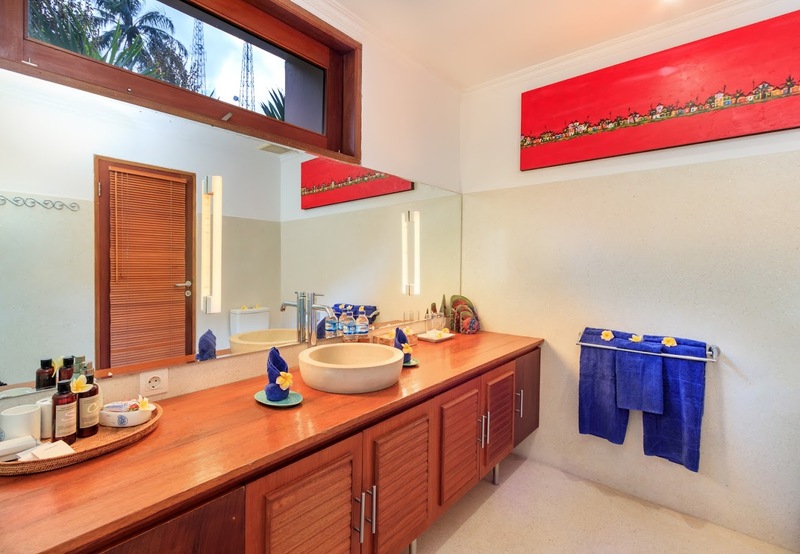 The ensuite bathrooms boasts a sprawling vanity set, bright red towels and a matching artwork! 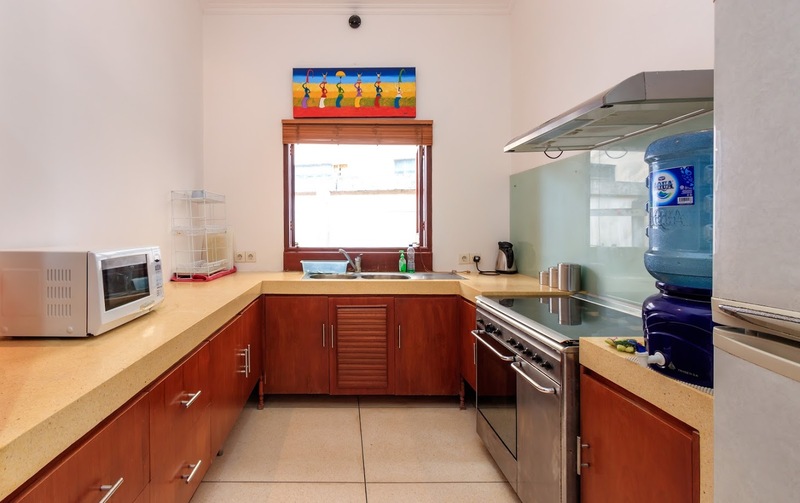 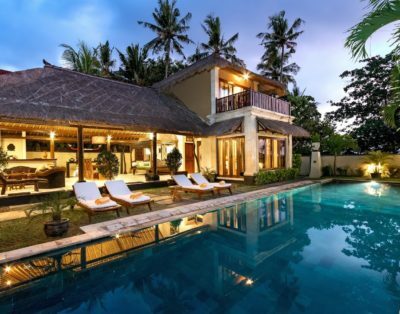 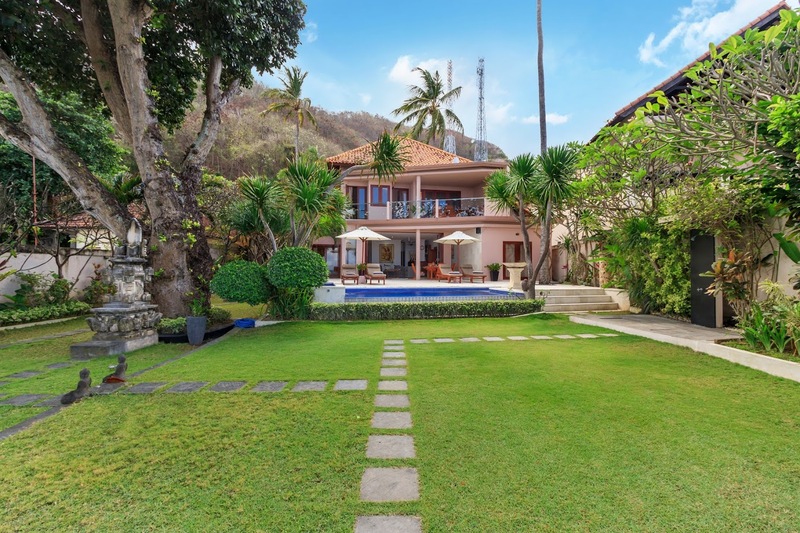 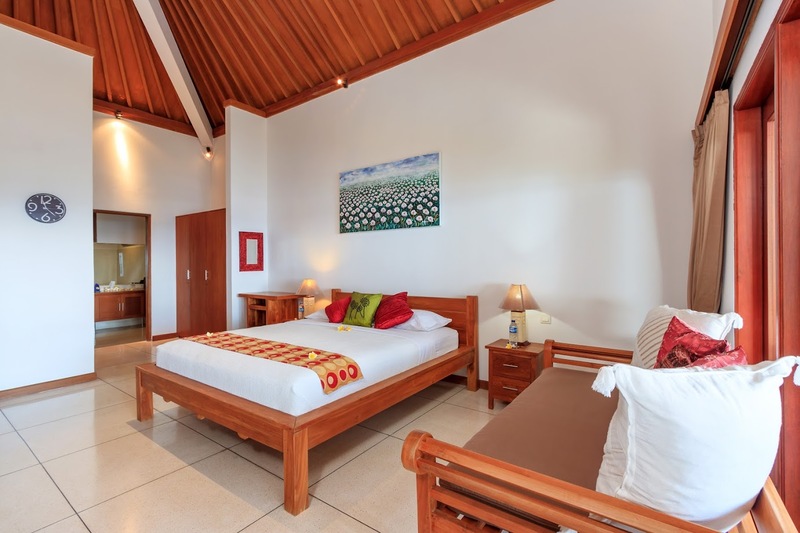 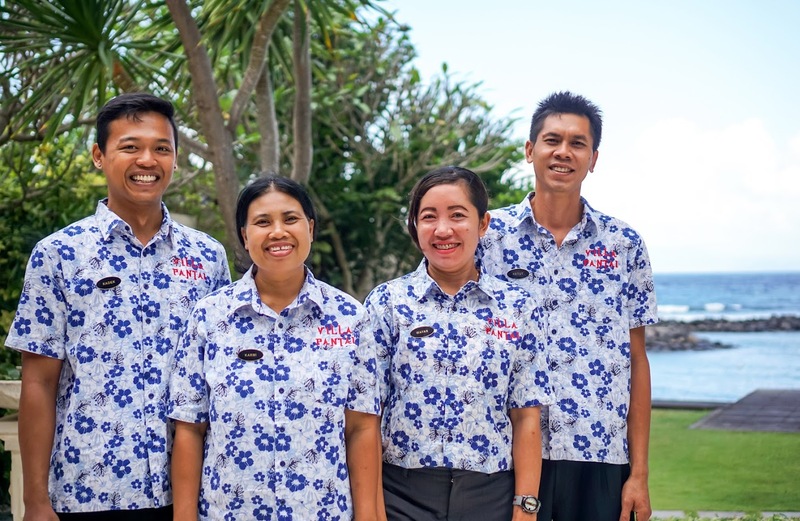 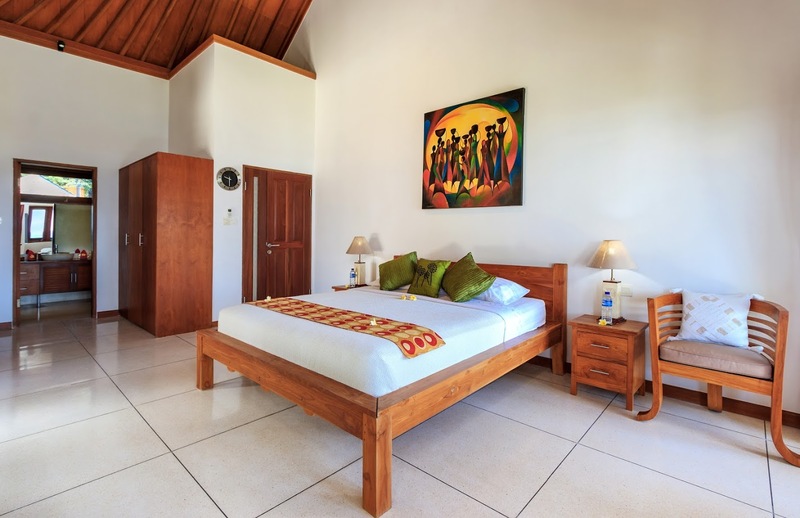 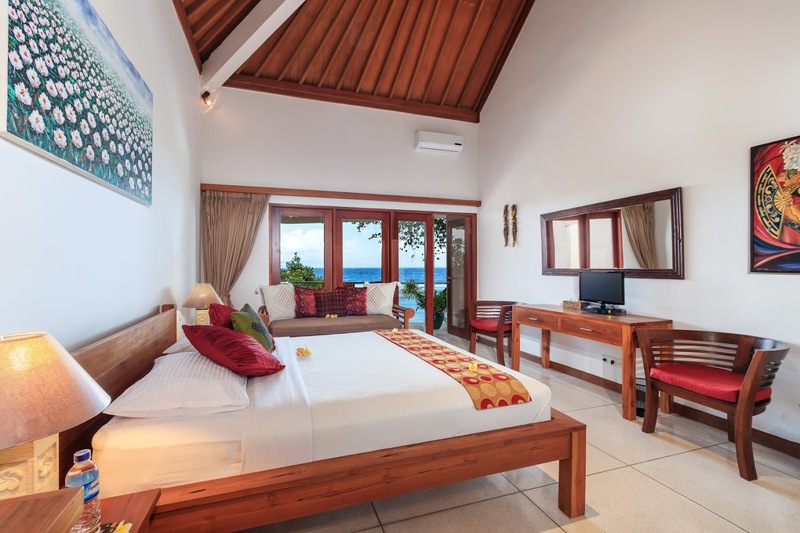 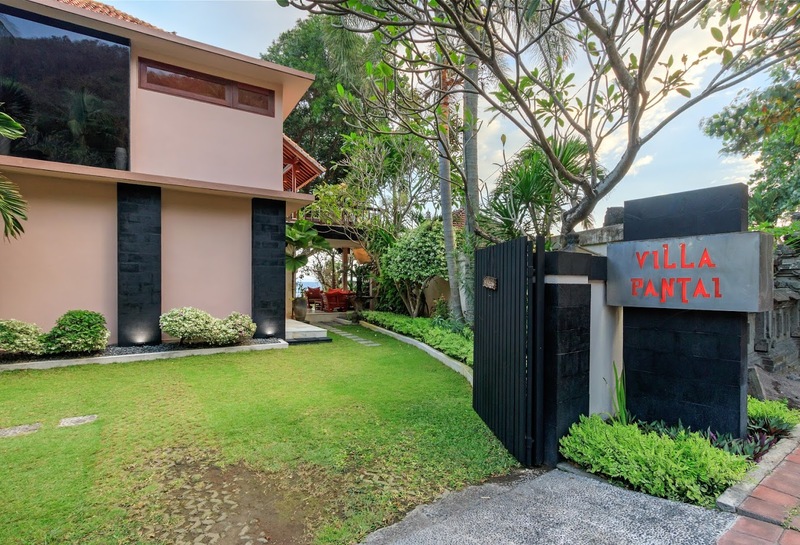 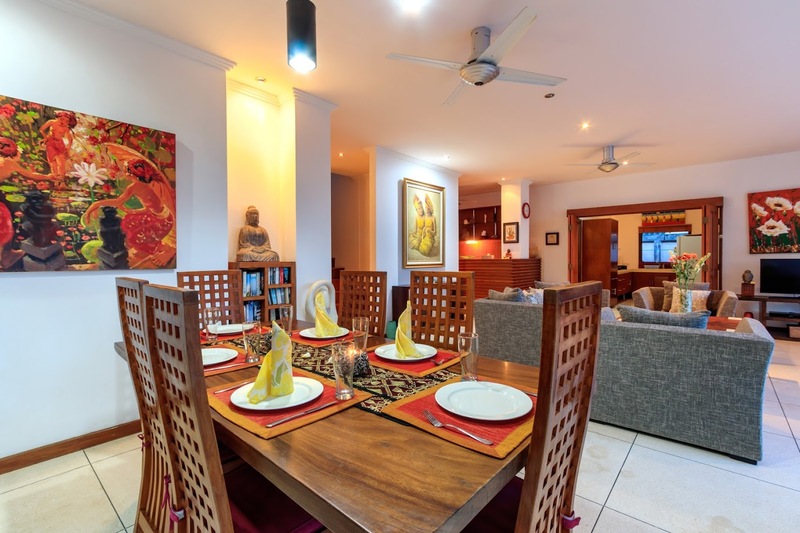 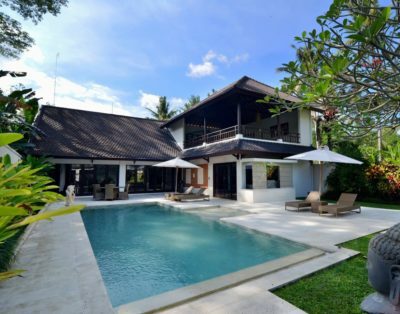 A stay at Villa Pantai will grant you with the warm hospitality of a daily housekeeping staff, private chef, pool attendants, gardeners and villa security. 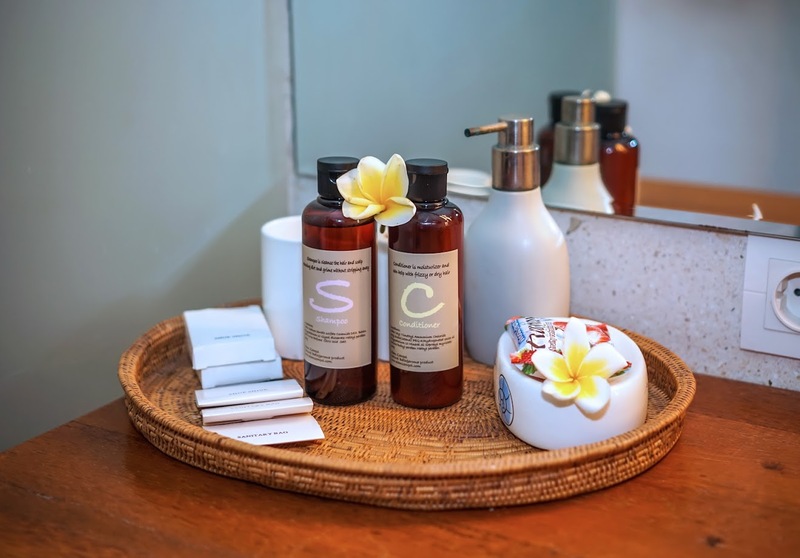 If babysitting services, car rental and chauffeur services, a well-deserved massage, laundry facilities, and airport pick-ups are needed, simply give us a call! 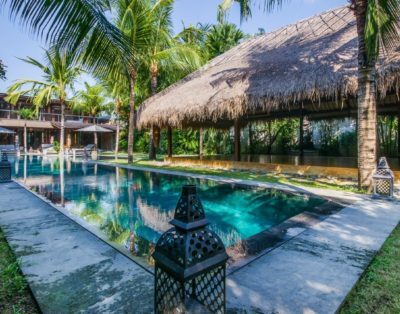 Located in the rural nooks of Candidasa, guests are in for a meditative retreat. 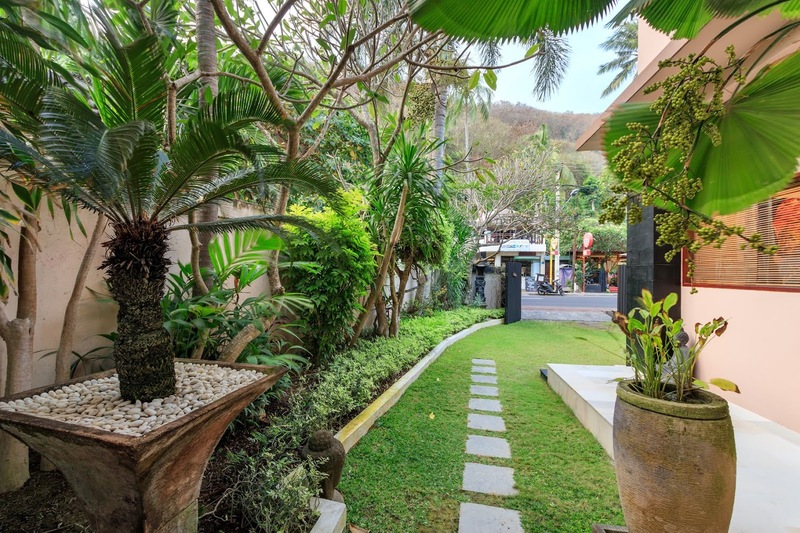 A drive out to ocean views and tourist-favorite restaurants. 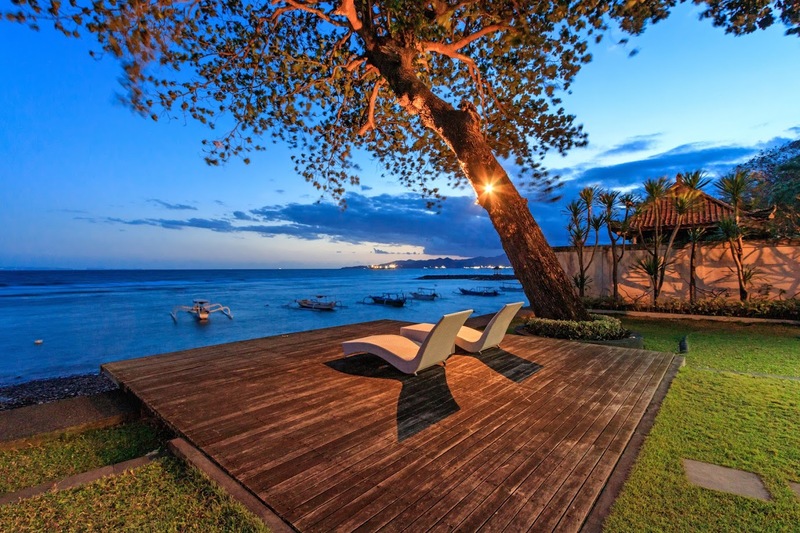 The setting neighbors Vincent Candidasa, which serves an array of international cuisines and blasts jazz music! 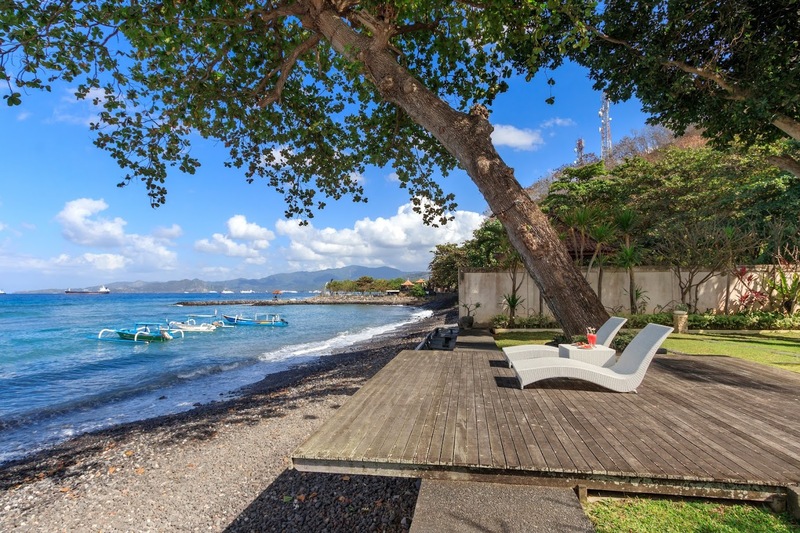 Villa Pantai’s location allows guest to go snorkeling and go on glass-bottom boats to see the richly diverse marine life at Blue Lagoon. 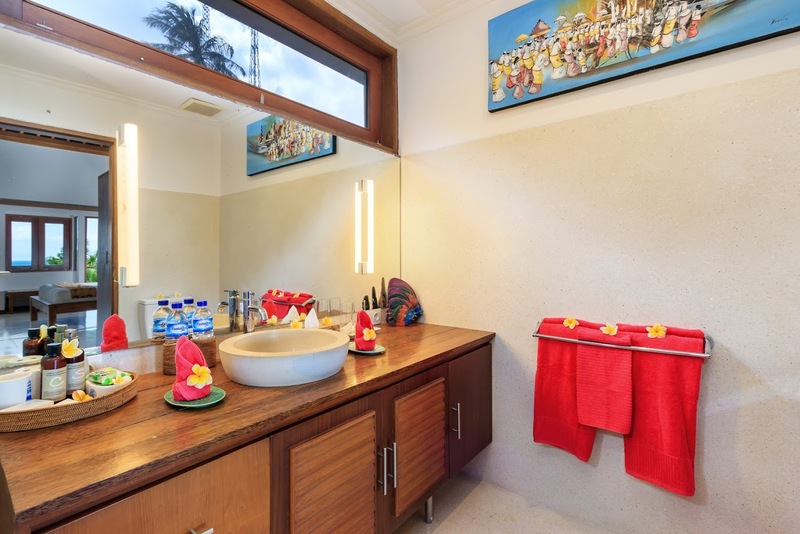 Surely visit the Bat Cave Temple to see fruit bats considered by locals to be guardians of the area.